Nearly three years ago, the Widmer Brothers launched a clever project: rotating IPAs, a new one every quarter or so. Everybody loves IPAs, and everybody loves the next IPA even more. So why not rotate them? Apparently even variety can become predictable, though because a couple weeks ago the Brothers released a full-time year-round IPA called Upheaval. This is a fascinating development. Any time a national brewery decides to release a new year-round beer, I start looking at the tea leaves. What does the beer say about where the market is headed? Given that this is an IPA, what does it say about where the style is headed? It's pretty clear that at least for the next few years, all the growth and excitement is focused on IPAs, so when a brewery puts a new brand on the shelves, they're putting down a bet about where things are moving. A few years back, Deschutes released Chainbreaker, which was revealing in a ton of ways. It combined the two most popular ale styles--IPAs and witbiers--and the result was by no stretch of the word an IPA. (It's just 5.6%.) But it illustrated that the letters "IPA" have enormous valence, and putting them on a beer helps sales. Deschutes recently announced that they were bumping Fresh Squeezed IPA to a regular offering (that's three IPAs in the standard line), another revealing decision. Last summer I wrote about how I thought Fresh Squeezed was a great example of a new trend in IPAs toward sweetness--and this seems to verify the popularity of that trend. So what can we learn from Upheaval? Widmer Brothers is not making a big deal out of this, but it kind of is: Upheaval has a grist nearly identical to Hefeweizen. Hefe has 43% wheat in the grist, while Upheaval has 40% and a dab of caramel malt. 2014 is the brewery's 30th anniversary year, and I personally wish the brewery were doing a bit more to highlight this intentional homage (more on that at the end of this post). Widmer Hefeweizen, while ill-named, was a revolutionary beer. European wheat beers are all made with interesting fermentation or spice character. When Americans started using wheat, they did something different, using it to accentuate the American-ness of their beers--clean, soft backbones that allowed the hops to express themselves. Hefeweizen had 30 IBUs of Willamette and Cascades and was in fact a wheaty pale ale. Upheaval has bales of hops (Alchemy blend plus Chinook, Simcoe, Brewer’s Gold, Willamette, and Nelson Sauvin), but they lean very heavily on late-additions to pump up the aroma and flavor. It is a burly 7% and pretty dry (3P/1012), but the wheat really saves the day. It provides a softness that helps bridge the gap between the hop levels and attenuation. The brewery tested the beer at 85 IBUs, but it doesn't taste anywhere near that bitter to me. It's cloudy, perfumy, and sessionable. It is also--and this is key--recognizably a Widmer beer. That may be partly due to the Alchemy, but I think also the Nelson Sauvin, which are sort of a house hop on Russell Street. Cloudy, soft, a focus on hop flavor and aroma, and a lot of alcohol: all those qualities seem consonant with the trends in modern IPAs. It was that flavor that really got me thinking. Widmer Brothers uses a proprietary hop blend called Alchemy in nearly every beer they make, at least for the bitter charge. If you want a really good sense of what it tastes like, try Alchemy Ale, which only uses that blend. For most people, it has a fairly recognizable mixture of flavors, ranging along the citrus to pine continuum, but to me there is a pungent undertone that suggest overripe tropical fruit (passionfruit, durian). It's not a passive melange, either--you (or at least I) know it when you encounter it. Back when I first started writing about beer, BridgePort was trying to dump their cool wildlife series (Pintail, Coho Pacific, Blue Heron) in favor of a "brand identity." They went to a standardized label and called their beers by style (instead of a name like Pintail, they used "porter" or "amber"). The incredibly avid PR woman was sold on the idea that this would make it easier for people to bond with the brewery so that they could always welcome a BridgePort no matter what style was pouring. (Or something--it didn't make sense at the time, and I was aghast that they were dumping one of the best brands in beer.) 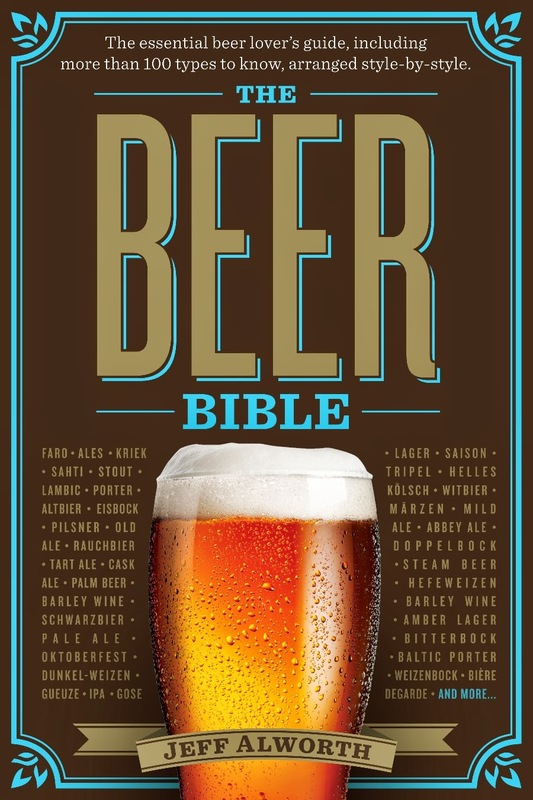 The problem, of course, is that people don't drink breweries, they drink beers, and they pick and choose with blithe disregard to what brewery makes a particular beer. What Widmer has done is move toward a set of flavors that say "Widmer Brothers," though, and that's a much deeper level of branding. There are very, very few breweries in the world that have pulled this off (Dupont springs to mind, some of the Trappists, Fuller's). I put it to Brady Walen, erstwhile blogger and current Brand Manager at the company, and he agreed. "One of the reasons we decided to move forward with the Upheaval IPA recipe, as opposed to some of the other popular Rotator IPA recipes, is the fact that this beer an awesome IPA that is distinctly Widmer Brothers. The Alchemy hop blend certainly helps us hit that target, but so does the use of wheat and not filtering it. The visual, aromatic and flavor characters all have signatures of a Widmer Brothers beer. From a brand standpoint, that’s exactly what we’re looking for; we want to ensure that the beer fits the brand and works well within the portfolio. The discussions we had as we developed the beer and the brand revolved around these signatures. They’re all deliberate decisions make Upheaval IPA the best choice for a year-round IPA offering from Widmer Brothers." Can you brand beers by their flavor? Should you? There is a risky downside to this approach: it means you're targeting people who share your palate and alienating those who don't. The Widmer Brothers are running an interesting experiment. 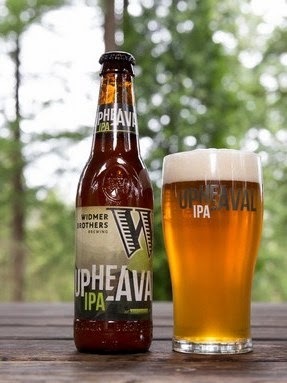 Upheaval IPA started as a small batch recipe we brewed at the Rose Garden pilot brewery in spring of 2013. We had plans to launch a year-round IPA in 2014 and had considered several IPA recipes for this planned slot in our lineup. The Upheaval recipe, however, was a real standout for us so we decided to pursue further recipe development, test brews, and other R&D to ensure that we could scale up the recipe for production. In parallel, we developed the brand name and packaging internally, and were submitting labels for government approval just as the government shut down in 2013. This delayed our normal label approval process by several weeks, but we kept all of the other components moving forward internally. This beer as part of our portfolio has been about a year in the making. There's one other little factoid I found interesting in all this. The brewery invited a few media types down to Bailey's to try the beer, and Rob Widmer was on hand. I asked why they were playing down the wheat angle. He told me (paraphrasing), "Well, there was another Wheat IPA on the market and we didn't want to be confused with it." He was talking about Shock Top Wheat IPA, a beer apparently so bad it damaged the category. That confusion may be a problem nationally, but here in Portland, I doubt they'll encounter a lot of confusion. All of which goes to show that lots and lots of thought goes into these things. It makes you wonder if everyone sits around the brewery afterward in a low level of panic, thinking "what if no one buys it?" But then, I suppose there's beer to crack if they get too anxious. You sure he wasn't inferring Pyramid Wheaten IPA? "2014 is the brewery's 30th anniversary year, and I personally wish the brewery were doing a bit more to highlight this intentional homage..."
They're actually trying to pull off a rather ambitious project called "30 beers for 30 years" starting in late March or early April, and all 30 of them are going to be bottled. From what they've told me, it'll be a mix of new beers and "retired" recipes like Widberry and Snow Plow. Oh, and they're going to bottle the Alt for the first time ever. Chris, this may be obvious, but the homage was Upheaval's nod to Hefeweizen. Sorry for the confusing language. IPAs are going to be around for a while, clearly, despite the fact that some in the beer community would like to move on. The question of what constitutes an IPA is a different matter. I guess the consensus is that a beer is an IPA if a brewery says it is. Add grapefruit juice to a hoppy beer...Grapefruit IPA. Add coffee to a hoppy beer...Coffee IPA. Add grape Kool Aid to a hoppy beer...Grape IPA. And so on. Look, Upheaval is a pretty good beer. It has far more hop flavor than aroma, I think. The 85 IBU is questionable, but the beer is fairly bitter. The wheat likely helps accentuate flavor and bitterness. I have to say it seemed to have more flavor from the bottle than what I had on draft...possibly an anomaly. All that aside, maybe the best thing about Upheaval is that it suggests Widmer is steering away from the marginal Rotator IPAs. I thought 5.6% ABV was the most authentic IPA strength. It's what White Shield is anyway. Hmmm....7% is "sessionable"? How did you ever survive in England? About the origins of wheat ale in the US: I thought an authentic Bavarian Hefeweizen yeast wasn't used because they were difficult to get or manage, the idea of them "using it [ed: plain old pale ale yeast?] to accentuate the American-ness of their beers--clean, soft backbones that allowed the hops to express themselves" sounds a bit too poetic, if you ask me. You only started writing about beer when Bridgeport did that stupid thing with the killing of the wildlife? A pup! I think 5.6% is about standard for the American-influenced IPAs brewed in Britain at the moment. And White Shield, as mentioned above. Of course, some IPAs are under 4%. Ah, historical debates. Let's get right to it. Ed: "I thought 5.6% ABV was the most authentic IPA strength." By what do you mean "most authentic?" 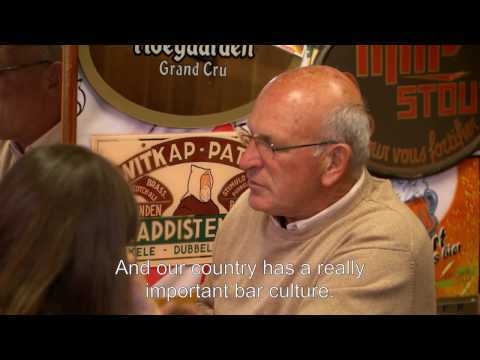 Ballantine brewed an IPA for decades that was 7.5%. Gravities waxed and waned quite a bit over the 250 years it's been made, and they got very low indeed in England in the post-war period. But that IPA had nothing to do with the former style--it was just a pale ale brewers made with an old-timey name to goose sales. Ron Pattinson backs up the case that by the 19th century they were mid-range strength, but I haven't seen anything from the logs about strengths a century before. Irrespective of that, though, it's clear that there is nothing that could be called "authentic" in the historical record that wouldn't be refuted by other examples from before, during, or after that period. But words have meaning, and I find it disingenuous when people cite the mid-19th century British understanding of a style as somehow relevant to our discussion. Americans brew truckloads of IPAs now, and no one thinks they're a session-strength beer. What they were once is an interesting historical artifact, but we know what they are now, and it's not spiced 5.6% beers. Nick, you're right--that was another poor choice of words. It tastes sessionable. As for the yeasts--no, I don't think so. They were able to make weizenbiers pretty early on. They just weren't able to sell them. I think we also attribute more knowledge to the founders than they had. Wheat malt existed, and they were making beer, so they tossed it in. Wheat seems wholesome and tasty to us. These were the same guys who looked at English pales and browns and figured styles probably were identified by color--so they added red and amber. I'll leave aside the question of poetry, but will defend the point: I think early brewers liked the quality wheat gave them in lightening the body and softening the palates, and they used it in a way that was completely uncommon elsewhere. (Possibly you could make the case for English summer ales, but no one in the US had ever heard of them and they definitely weren't an influence.) In the 1980s and early 90s there were tons of light wheat ales in the US. "there is a pungent undertone that suggest overripe tropical fruit (passionfruit, durian). It's not a passive melange, either--you (or at least I) know it when you encounter it." Currently on a roadtrip to SW_Fla. Last night, I encountered / purchased Samuel Adams Rebel IPA. I regard it a very good, mellow, 'West Coast style' IPA. Details; 45 IBU; 6.5% ABV. apparently released Fall 2013.